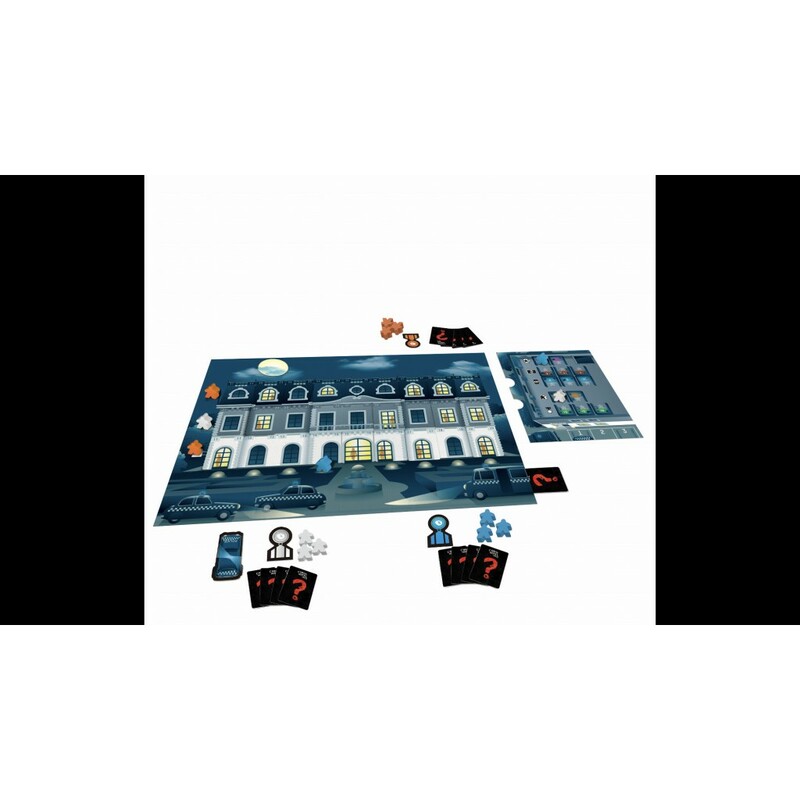 A trick-taking and deduction game. Who will find the murderer first? In a prestigious hotel located deep in the mountains, a murderous crime has occurred. There is no trace of the murderer, but only the sound of a gun-shot and the victim’s scream in horror echoes in the lonely hotel. The killer is still hiding in one of the hotel rooms, waiting for his chance to escape. You are the detectives who are trying to find where he is hiding. Your only evidence is the number of empty rooms in your hand. Who will be the one to find the murderer’s room? 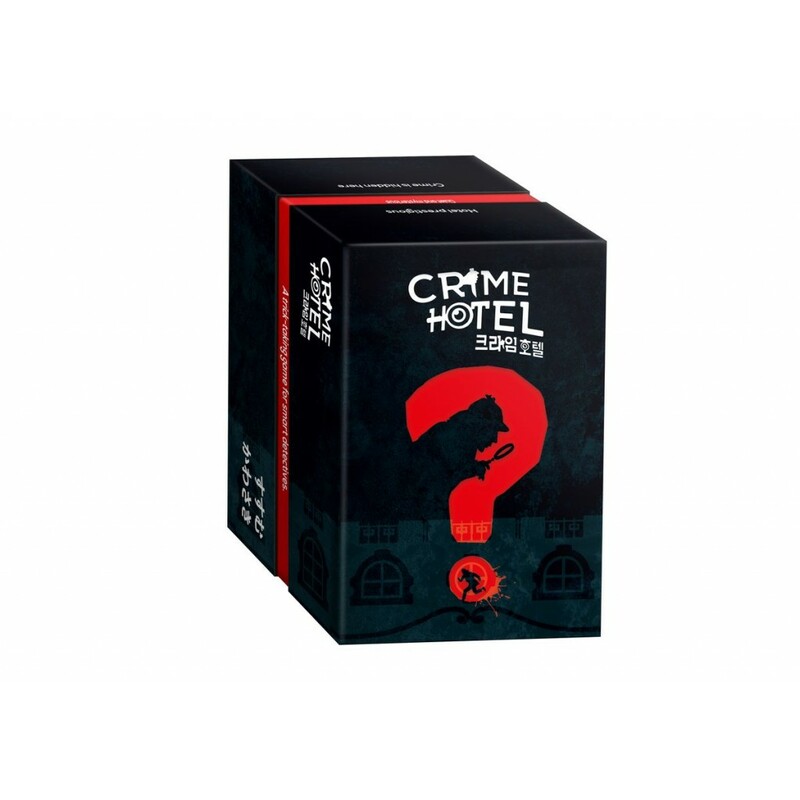 Crime Hotel is a trick-taking game in which the players become the inspectors who are trying to find the room in which the criminal is hiding. 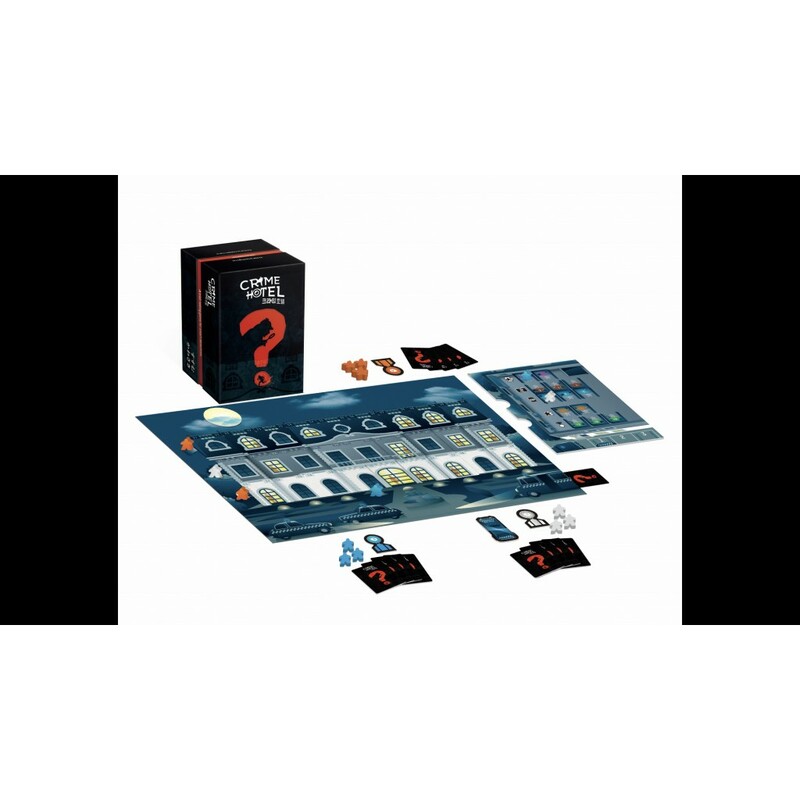 Each round, the players who played the highest card and the lowest card can guess in which room the criminal is hiding. The more rounds you play, the closer you get to the truth. The players score points based on their guesses and the closer they are to the correct room, the more points they receive. Each round, the hotel rooms will light up one by one, leading you closer to the answer — and the closer you get to the answer, the higher the tension becomes. Even if you know the answer, you have to think strategically since you have to play highest or lowest card to be able to make your guess before the others. Like solving a real crime, you have to collect all the clues and use your powers of deduction. Who will be the one to find the criminal?